There was a time when the only dominant and energy-consuming electrical appliances in the house were the lights, the TV, the refrigerator and the heater for those cold winter nights. Things have changed over the last few years, however. Today there is a much larger number of consumer electronics that are part of normal modern living, and that greater number puts more of a strain on your energy system. This surge of modern electrical technology is one of the prime reasons why old houses are joining the wave for changes in the electrical system, mainly through electrical panel upgrades. Older Phoenix homes have a certain charm, and their value in aesthetic qualities can be immeasurable. Yet, their old circuit breaker boxes may be inadequate when meeting the combined demands for energy of your computer, refrigerator, TV, sound system, heater, washing machine, oven and the myriad other electronic gadgets that you may enjoy. You could easily sense this inadequacy when the lights begin to flicker or breakers start to trip regularly. Intermittent power or blown fuses are usually a sign that your electrical system simply cannot keep up. Fortunately, you don’t need to move into a more modern home. This inadequacy can be corrected through a convenient and cost-effective method: upgrading your home’s electrical panel. 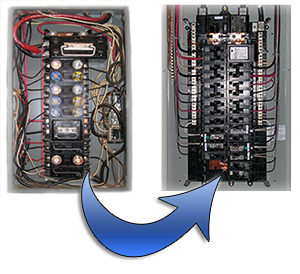 Panel upgrades are performed in Phoenix by outfitting your home with a modern breaker box to cope with the demands of modern technology. These modern panels are equipped with more capacity and better technology to provide you a more efficient electrical system in your home. A full electrical system upgrade can also include replacing your old meter sockets and upgrading your electrical wiring, all to ensure that you will get smooth running electricity throughout your home. A panel upgrade is a complex task and should only be performed by a trained professional. Seeing as you are dealing with the heart of your electrical system, to safeguard yourself from electrocution, it is best to employ a competent master electrician to do the job. Don’t suffer the inconvenience of unreliable power, or put your property at risk of power surges. Call your local Phoenix electrician today. 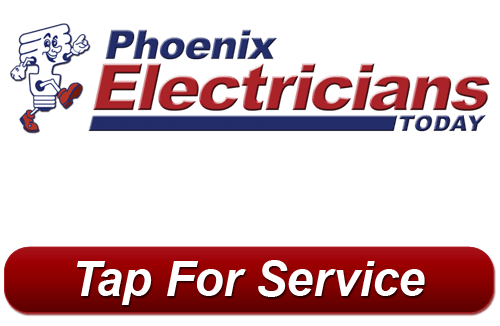 If you are looking for a Phoenix electrician contractor, please call 623-209-5244 or complete our online request form.